This is a fair comment. There are atheist-evolutionists who get very upset at the notion that scientists have beliefs, but they clearly do. The beliefs preferably have some evidentiary support, but that is almost nonexistent in his examples. He skips some other common physicist beliefs: many-worlds, other forms of the multiverse, proton decay, holographic universe, quantum nonlocality, super-Turing quantum computing, and Barack Obama Hope and Change. Okay, I am just joking about the last one. 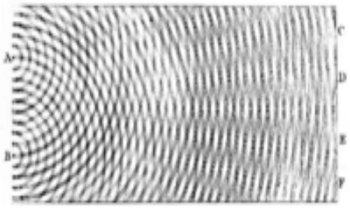 Just about everything shows wave behavior at some scale, so I can believe in gravity waves. I have beliefs against many of the above things. 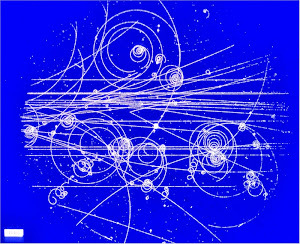 I am skeptical about superpartners (SUSY particles), proton decay, and quantum computing partially because these are farfetched and dubious theories, but mostly because experimental attempts have been such failures. My skepticism in extra compactified dimensions and extra universes is a little different. These are ideas that are not testable and do not really explain anything either. I am not even what there is to believe in, because their ideas do not have much to do with observational science, as it has always been understood. I certainly do not believe in that nonsense, but I am not sure it makes any sense to disbelieve it either. If you tell me that you have a spiritual connection with your grandmother, and then ask me my opinion, I would not have any opinion. I do not know how I would ever be able to come to a conclusion that your belief is true or false. It does not have any objective meaning that can be analyzed by the tools that I have. Likewise, you are free to believe in other universes with different inflaton fields, if you wish. Motl is right that irreligious people have the right to have their own beliefs, even if there is no way to test or demonstrate them. I only raise objections when you claim to have some sort of scientific backing for them.